Super Bowl Club overlooks ‘Golf Valley’, so called because it contains 3 international competition level courses. Super Bowl The club overlooks ‘Golf Valley’, so called because it contains 3 international competition level courses – Las Brisas, Aloha & Los Naranjos. The club overlooks ‘Golf Valley’, so called because it contains 3 international competition level courses – Las Brisas, Aloha & Los Naranjos. Please contact Club Manager, John Owen, for more information. The club has a proud history with many successes in the local league and league cup. 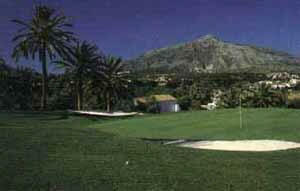 Members of the club have produced many championship performances in Costa del Sol, Andalucian and National Championships as well as a number of international appearances for Spain. St Patrick’s Day Celebrations – 2010. Photo L to R: Jamie Ali, Craig Lewis, Sponsor & Brian Judge. If you are not interested in Water softener , then you have already missed a lot. East-West: Travelling from Fuengirola, the N340 bypasses the centre of Marbella, passing a McDonalds restaurant on your left. 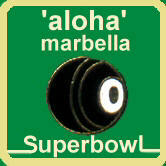 Next watch out for a major fork in the road, (where the A7 toll road leads off to Estepona). Take the N340 right fork through the tunnel. 3 KM from the tunnel you will pass the Corte Ingles department store on your left. Take the right exit, opposite the PYR Hotel, located next to the Corte Ingles. Immediately after you turn off, take the left fork, (otherwise you will find yourself the other side of the N340 in Puerto Banus!). You will come to a roundabout. 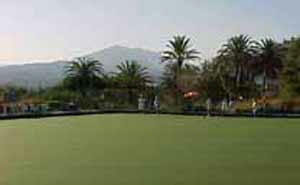 West-East: After travelling from the centre of San Pedro 3.3 KM, on the N340, take the right exit to Puerto Banus. Take the last exit from the roundabout which takes you via a tunnel to a roundabout on the other side of the N340. Pass straight over the first roundabout until you reach a second by the Nueva Andulacia bullring. Go straight ahead passing a commercial center on your right. Pass straight over the second roundabout until you reach a third. Take the La Quinta Golf exit. Proceed until reach a fourth roundabout. (The total distance from the N340 to the fourth roundabout is 1.5 KM).Take the right exit from the fourth roundabout and turn right at the Aloha Supermarket, after 0.8 KM. Superbowl BC is about 100 metres on the left. Contact club ( 952 81 77 13 ), or Secretary ( 952 93 02 42 ) for details.